Let’s think for a moment: Do you like selling? Maybe. But more likely no. And you’re not alone in that. I was in that situation too. It was so difficult to talk about the packages I had, bargain and lower the prices for clients, and it was a horrible feeling when you talk to the person, spend a lot of time of explaining everything, and then they say ‘No’ or even worst they just disappear. 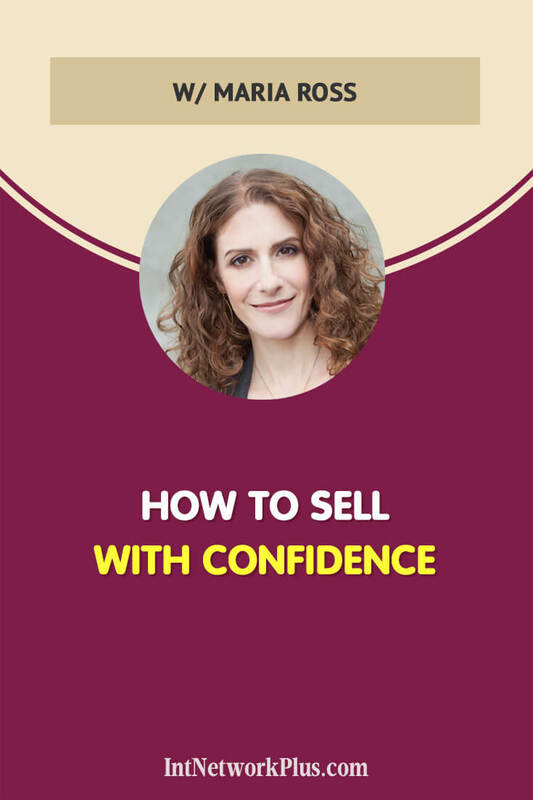 In this episode, Maria Ross shares how to sell with confidence. Maria is a brand strategist, author, speaker, and actress. She is founder of marketing and branding consultancy Red Slice where she helps entrepreneurs and small business owners to differentiate their businesses, clarify the goals and develop a marketing strategy. Before creating RED SLICE, she crafted branding and marketing strategies for Silicon Valley start-ups, global software firms, Internet companies, and consumer businesses. [15:43] What if the person says No when you offer the sale? Maria, some of our listeners don’t know you yet. Please tell us a little bit about yourself and what you do. Sure. I’m a brand strategist, an author and a speaker. My company is called Red Slice. I help solopreneurs, startups and small to mid-size businesses tell their brand’s story and articulate their values so that they attract the right clients, they stand out from the crowd and they can grow their business and do more of their good work in the world. My main website and blog is red-slice.com. Woohoo! We’re going to get more sales, going to get famous today. Whatever you do, if you want to make money and grow your business, you need to start selling. That’s a hard part for many people. Why do you think that it’s so hard for creatives to sell their art or services? I think sales gets a bad rap because we’ve all seen really bad sales pitches and really pushy, deceptive salespeople. 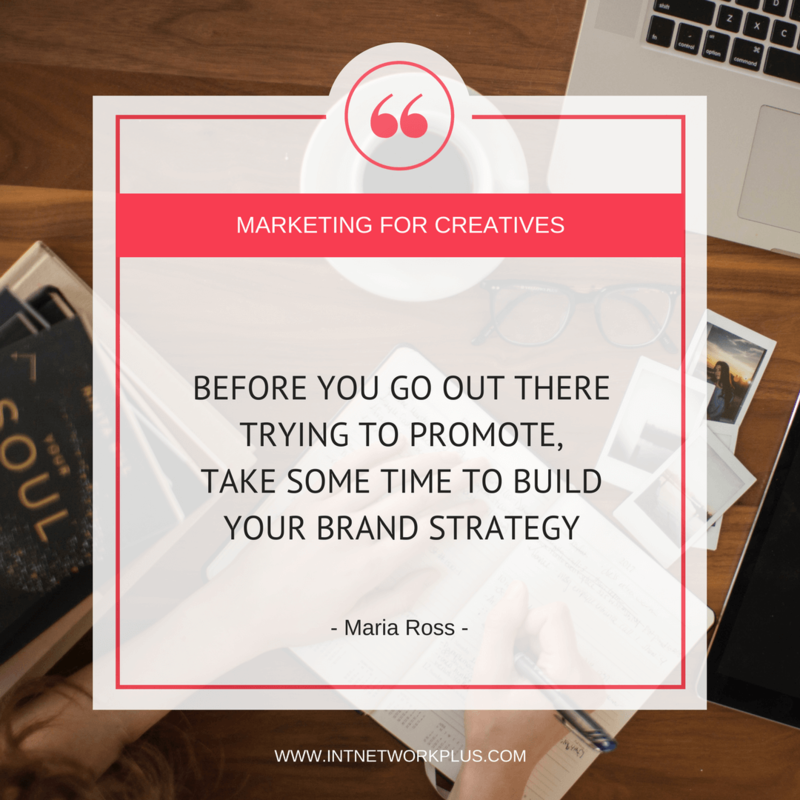 The fact of the matter is if you’re going to do any marketing or if you’re trying to amplify your work in any way and build an audience, you have to promote your message. You have to let people know that it exists and know what it can do for them. I really have a very strong value that marketing should be used for good rather than evil, and that when you market and sell, it’s not about lying to people. It’s not about forcing them into doing something. It’s about elevating the truth of your story so that the right people can find you and benefit, and if you’re not right for them, then that’s okay too. But we live in a very noisy world and there’s a way that you can do that. There’s a way that you can sell and promote and let others know about your work that has style, grace, and that respects the time and minds of the people that you’re trying to reach. That’s what I help my clients do is build a brand strategy and build a brand and a message that really communicates the value of what they do so that at the end of the day the sale is almost an easy thing to ask for. Now we need your help too. Can you give us advice how to sell what you do without being too pushy or self-promotional? Absolutely. I’ll share four tips with you today, but behind all of that is just having the confidence and clarity of what you offer. When I work with clients, I help them build their brand strategy first so they’re not going out there performing random acts of marketing. They’re actually very clear on their message, on their value, and on who they’re talking to. Sometimes we tend to think everyone is our audience and everyone is not a market. Really honing in on your ideal client and customer who genuinely needs what you have. I say needs meaning they might want what you have, it’s not necessarily a requirement but they’re looking for the value that you provide. 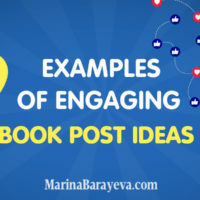 The first tip I would add is like I said, underlying all of that is having the confidence and building a strong brand strategy first so that you know what you’re trying to say, who you’re trying to say it to and how you’re trying to say it. What’s your brand’s personality and your vibe? When you have the confidence in that brand strategy, you can then go forth and make the right marketing decisions and the right sales decisions. 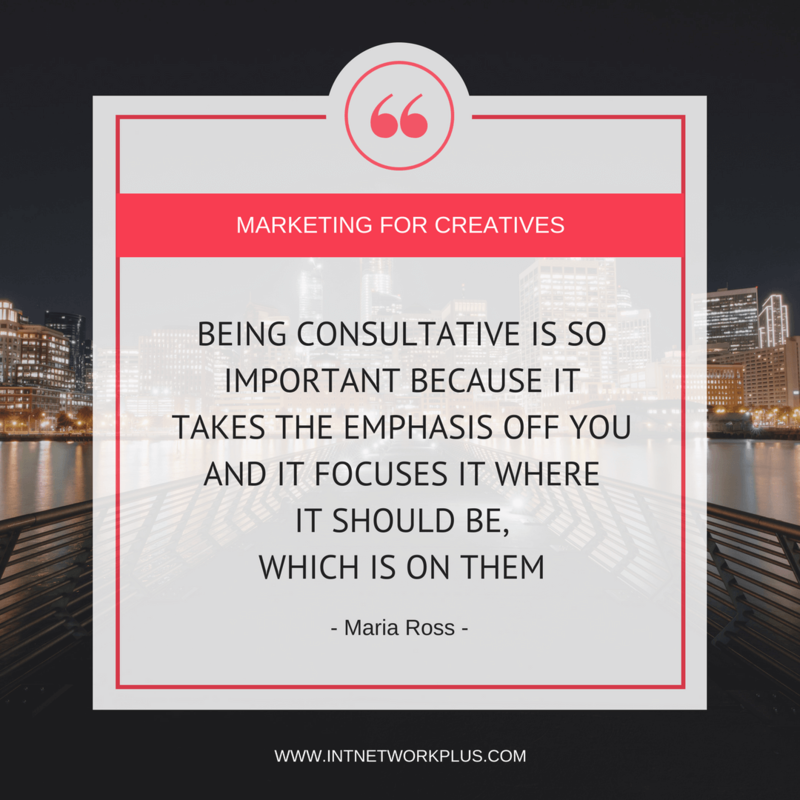 One of the first things that I always talk about with people is that you need to be consultative. 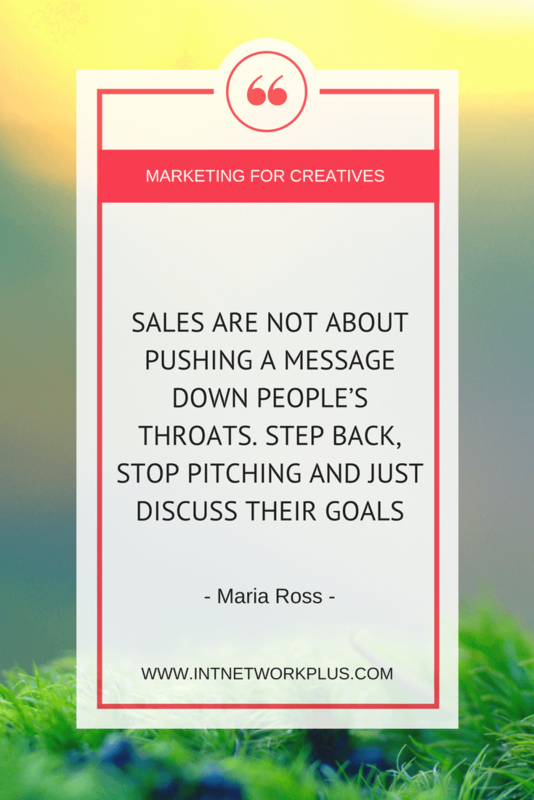 Sales are not about pushing a message down people’s throats. Step back, stop pitching and just discuss their goals. Be generous with your guidance, with your connections, with your resources. You don’t want to work for free all the time because that sets up a very negative brand perception that cheapens your work but you can always offer teaser advice. That’s why content marketing is so wonderful. 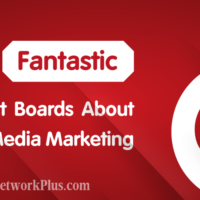 If you have a blog or YouTube channel, you can offer advice and curation around your field or industry that’s really valuable for people and they can get a taste of what you have to offer before you ask them for a sale. It’s really about being consultative. 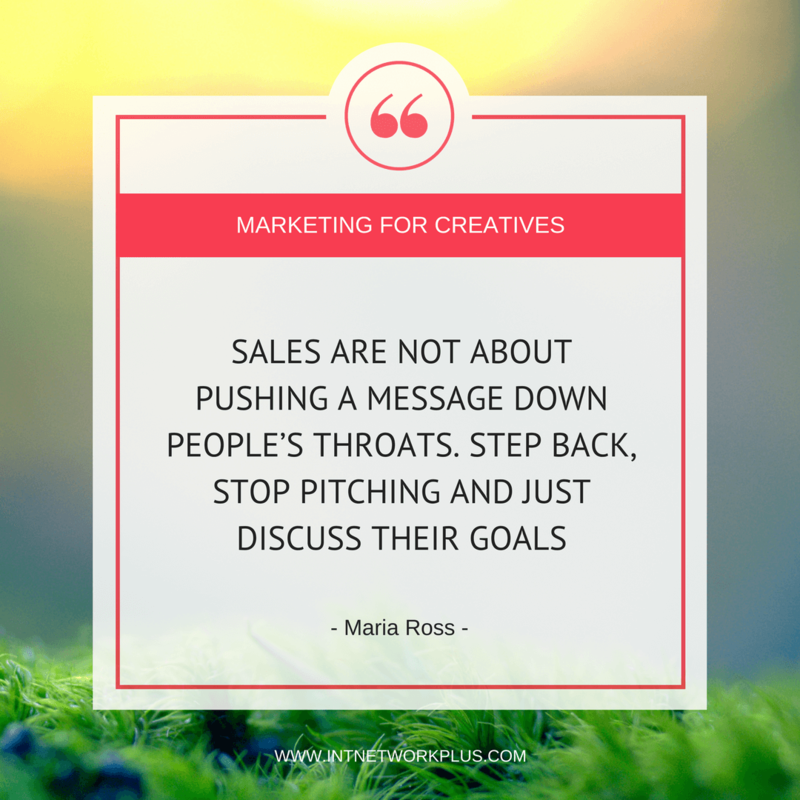 I always like to tell my clients think of it as a conversation, not a sales pitch. Genuinely be curious about what that person needs and what their goals are. How do you develop this confidence? It’s okay to say, “You need the confidence.” But if I don’t have it, what should I do? Psychologically I’m not sure what you can do there, I can’t speak to that but how I help my clients build their confidence is that you have to be clear on your message. 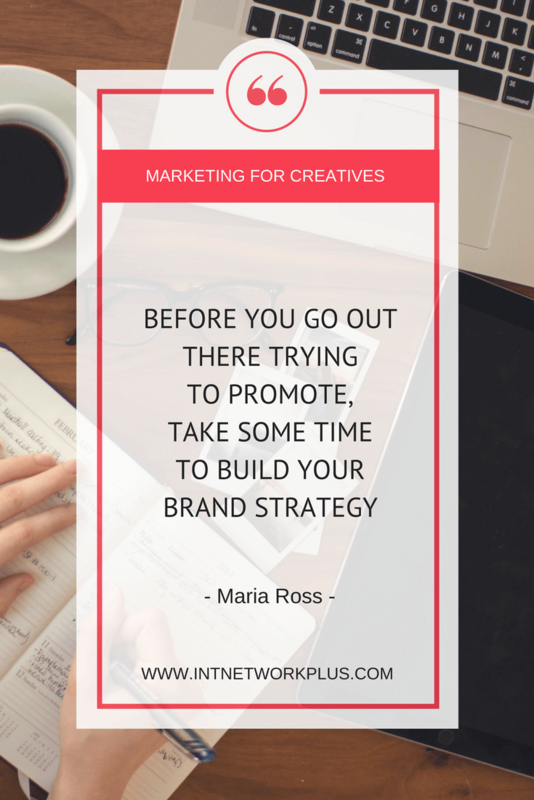 That’s why before you go out there trying to promote, take some time to build your brand strategy. What is my brand voice and personality? You’ve got to practice. You’ve got to get back to building the strategy of what benefits do you provide, who cares about those benefits and how are you going to craft your brand voice and your personality. The other part of that is really just to practice and be very cumbersome of focusing on the value that you offer. It’s not about you, it’s about your customer or client. What do they need? What can you do for them? 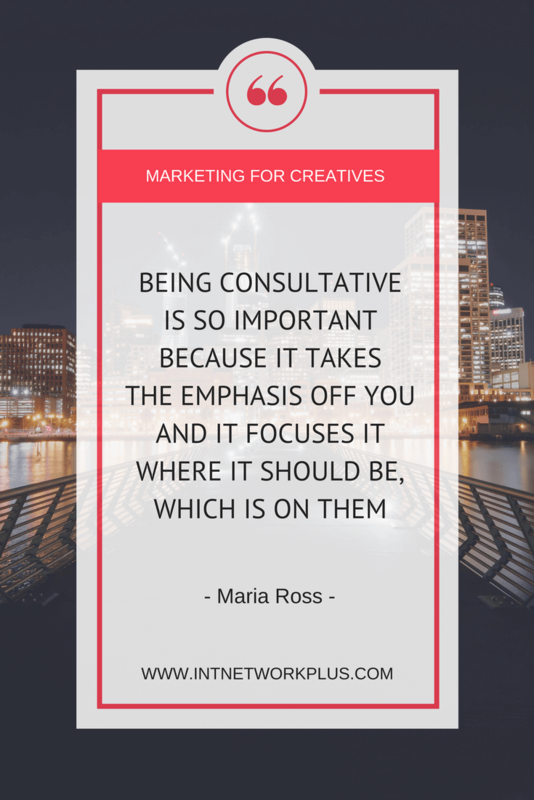 That’s why this tip of being consultative is so important because it takes the emphasis off you and it focuses it where it should be, which is on them. You talk a lot about consultation and preparation. For many people, sale is the final step when you get money and give the product or service. What do you put in the preparation or consultations or talking about your service? How should we prepare this sales process? That’s where all these four tips come into play. Then you build the offering, you build what you’re creating to suit their needs. But you’re very clear on the fact you’re talking to creative entrepreneurs and then you’re going to go out and talk to some of them and ask them questions about what they want and need. That’s part of the preparation. It’s not just about what you think they need. It’s finding out from them in their own words what they need. What might prevent them from buying from you? What obstacles stand in their way of becoming a fan or purchasing your products or services? If you can think about things from their point of view, you can then create a sales process that removes those obstacles and can help them get to purchase with you faster. They’ve done studies that show that empathy is actually the number one trait in successful salespeople. It’s not being an extrovert, it’s not being pushy, and it’s not being an eloquent speaker. It’s really about being consultative and showing that empathy and seeing things from your customer or client’s point of view. Finally, this is a really important part of the preparation is networking. I know people hate that word again because they have negative connotations of networking but you need to get out there and network with people for the simple fact that people need to know you exist, that your offerings exist, that they add value, and this is what they look like. This is how you start those warm conversations with people, when you’re able to be in a safe environment where you’re not selling to people. They’re just getting to know you and getting to know what you offer. You never know where those connections could lead. They could either be potential clients or customers for you or they may know someone who’s a good potential client or customer for you. But when you’re confusing and you’re muddy with your message, people don’t know what to make of you and then they don’t know how to refer you because they don’t understand what you do. You need to be very clear about what you do and use that back to them. When you network, you are able to… You can network with people you like. You don’t have to network with people you don’t like. You network online, offline, we’re networking right now because you reached out to me and found me through someone else that we both know. There are lots of different ways to network. If you approach networking as something fun, not how many business cards can I collect but as, “I’m going to go and be generous and share my value with people. If I connect with a few people at this event or in this group, that’s great.” You don’t have to turn everybody into a sale. The more that you can network and build that awareness with people who get to know you at a very intimate level, the more likely they will be to either buy your products or services or recommend you to other people. We talked a lot about our preparation, searches, knowing your ideal client, but are there any tips or what we can do with a person who we talk to, how to prepare the person for the sale itself? Then you can tailor the conversation if it’s a good fit to showcase where you shine, what you can offer and what you can contribute. If you go in with a prepared script, “This is everything I’m going to want to say to you, I’m not going to let you get a word in edgewise,” then you’re never going to make a sale that way because people want to know that you care about them and that you’re there to solve their problems. Going in to ask for that sale, whether it’s in a meeting or whether it’s through a series of emails. Maybe you’ve set up a marketing funnel with emails and you’ve finally proven your value and you’ve listened and now you’re getting ready to ask for the sale. By the time you ask for the sale, you should have all the information you need. Again, it should be a conversation. If it ever feels like it’s completely out of the blue that you’re asking for a sale, you’ve probably not done enough preparation or enough listening or enough consultation with that person. We had the conversation. We talked to the person. We put the effort to him or her and we hope that person will buy from us. What if they say no? For some people, especially creatives, when they hear no, it may feel like a personal rejection. How do you deal with that? Flat out, you can’t look it as a personal rejection. They might not need what you have or they might think they don’t need what you have. They’re not rejecting you. They’re rejecting the offering. Unless you were really obnoxious and maybe they are rejecting you (laughter.) But again, if you’re consultative, listening and showing empathy, they shouldn’t get that impression. Yes, initially they might say no but you need to be prepared, like I was talking about empathy before, what are some of the objections they might have and be prepared to respond to them. If someone says, assuming you’re talking to the right person, “No, I’m sorry. I just think your product or your service is too expensive and I don’t have a need for it right now.” Maybe you have to show them what they’re losing in money by not investing with you, which could be far more than what they would spend or what they could potentially save by working with you. That’s why things like testimonials and social proof are so important because you can have those speak to the objections that people have. You need to get behind the No. What is it behind the No? Is it the money? Is it that they don’t see it as a priority? Is it that they’re looking at another option and you’re different and you need to point out how you’re different? There’s no script for all that. You just have to be an investigator and figure out what’s behind that No. That’s really good advice, to go behind the No and look deeper at why they’re saying no. That was one problem. There’s another problem, which many creatives face. Sometimes it’s hard to sell because people enjoy doing their work. If you enjoy doing something, you would do it for free. What do you do? You really want to work on the project, not even because of money but because it’s something new, interesting and they let you create as you wish. How do you find that balance between selling? You want to work. You want to get money. How do you sell your work without undervaluing it? You have to look at a couple of things. One is what you charge says something about your brand. It’s an advertisement for your brand. If people find out you’re giving away your products and services, that’s how they’re going to value them, that they’re not worth any money. That said, the types of clients that you accept will also say something about your brand and they’re going to be a marker for other people of the caliber of person that you work with. Yes, you want to do the work but you also have to run a business. You have to decide if this is a hobby or if this is a business. If this is a hobby, give your work away all-day long. That’s not a business. Don’t pretend that’s a business. If you have a business, you need to make the business healthy so that you can continue doing your work for other people. I always tell people if you’re going to give you work away for free and then no longer be able to do that work anymore, you’re not serving people because now you’re bankrupt. Now you can’t do that work for people anymore. Now you have to go get a job at a carwash or whatever it is you have to do. You have to think about what’s going to enable you to sustain the business so you can continue doing your good work in the world. That requires thinking about money and thinking about profit in a healthy, responsible way. No business can stay in business if they’re just giving away services for free. Yes, initially you might want to take on some free clients to get a portfolio, to get testimonials, but at some point, you have to decide what problem are you solving and what is that worth for people. That’s why identifying your ideal client is so important because you can’t be charging a ton of money to somebody who can’t afford it or inversely you can’t say that you’re targeting luxury buyers if you’re pricing something too cheap. They’re not going to think it’s valuable for them. You have to know your market and know where you fit but understand that pricing is a brand decision. I’ve written a lot of blog posts about this, that when you decide to price your products and services, you are making a brand decision because you are setting an expectation that this is what this offering is worth. If you want to you can say, “I take on one pro bono project a quarter.” I know lots of company owners that do that, where they want to give back to the community and want to use their skills to do it. I’ve done pro-bono work for non-profits before. But I don’t do it all the time. I have to still balance that with what is the money coming in? What do I need to sustain the business? What do I need to go another year and continue doing this work for people so I can help more people? For example, if we’ll talk about you. You are in branding and marketing and you are also an actress, which are different things. That’s exactly what some people face because for some people they have a fulltime job and their creative side is a hobby. Or some creatives focus on their business but they want to expand it to something else, like to get the second part. When they sell their work, service, whatever, how can they combine those two parts? How can they sell without confusing people? You have to build that into your umbrella brand. For me, I’m a storyteller. That’s essentially what I am. I help people tell their brand’s stories. Acting fits into that because I’m a storyteller on stage. I’m an author. I tell stories on a page. It all fits together. But even if it didn’t fit together, that could just be some interesting aspect of my brand voice or unique factor that separates me from all the other people that do what I do. While I would have loved doing the play, I have a business to run, I have bills to pay. Sometimes you do have to make those hard choices. But when I have time and when I have bandwidth, I’m able to do that. I’m able to bring in my experiences as an actress into my work because I write blog posts about acting, theatre, entertainment, and what I’ve learned doing that work. It adds some dimension and flavor to my brand voice. You don’t have to monetize every hobby that you have. This is what I always tell people. You can bring that in and fold that in. My friend Mellissa Cassera calls it swirling. Swirling that into your brand voice so you’re not just the brand strategist that talks about marketing branding, you’re the brand strategist that’s also an actress in her spare time. You can bring so much uniqueness and flavor to your brand voice and figure out how to parle that experience into something of value for your audience. Clearly, for me anyway, that sideline adds value because I’m comfortable on stage, so when I do a keynote, I’m a good speaker. It adds value when I write messaging for clients because I can think creatively, I can bring the storytelling aspect for it. Anyone that’s got that sideline passion or hobby, figure out if it actually adds to the paid work that you’re doing and if not, if it’s totally out there. Let’s say I was a model train aficionado, maybe that can be something interesting I could talk about in my blog posts about things I’ve learned from going to model train conventions. I don’t even know what that would be but you don’t have to deny that part of your personality. You just have to make a decision of if it’s part of your core business or not. If it’s not, how does it add some flavor and personality to your core business? What about those people, let’s take an example. She works as an accountant and she designs some clothes at home. She wants to turn this design part into a business, and then she goes networks and talks about herself but people know her as an accountant, not as the fashion designer. That’s where you have to pivot your brand and you have to decide, are you serious about building that business? Are you going to put that accounting work away? Eventually you can start talking about it as something that you do on the side and if it gets big enough then you’re no longer talking about yourself as an accountant, you’re saying, “I do this.” And you get known for that. But it’s not something that happens in one day. You have to be out there, meeting people and saying, “Yes, I’m an accountant but on the side what I’m really passionate about is designing clothes.” And you build that up. It’s not mutually exclusive. In that scenario, it’s not like forever she’s only ever known as an accountant and she can never change that. It’s how you are going after building your business, what you’re serious about doing versus what you’re doing as a hobby, and how you choose to go about talking about that value. Where are you going to talk about it? If you’re going to accounting conventions and you’re trying to talk about your design business, that’s probably not a good idea. You’re building a different audience for that thing. You’re proving different value. Your work offers different benefits than what your day job does. It might be a completely different audience. But you probably won’t carry over that same audience to this completely different thing, and you have to be okay with that. You have to know that you might not be right for people that needed you because you were an accountant and now they don’t need you anymore because you’re a fashion designer. Yes, it does, so many interesting tips. 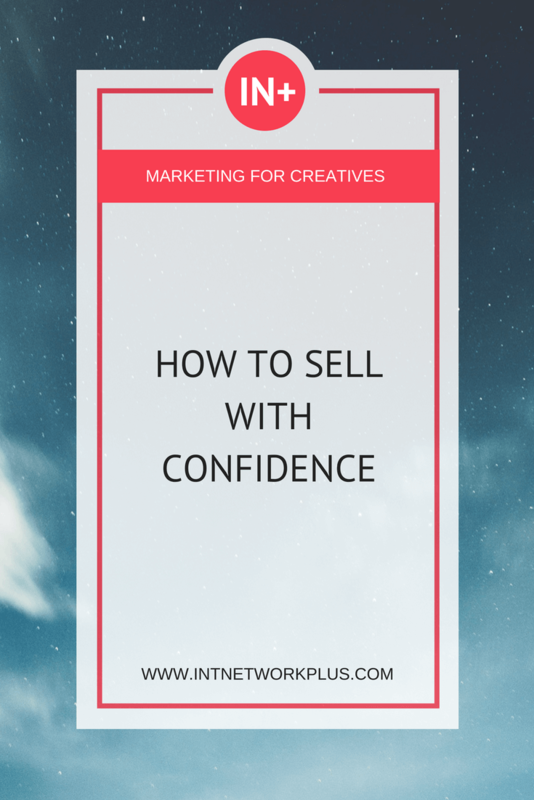 There’s a lot of information but if you would put it into the strategy for people, what are the three steps our listeners could start with to sell with confidence or increase their sales? You have to build your brand strategy. That’s number one. You cannot go doing different tactics that don’t work unless you know… It’s like getting in your car and just driving and hoping you get to your destination. You have to build your brand strategy. What is my vibe? What is my brand personality? You have to get that straight before you do any other marketing, any other selling. Once you have that, then you start to go out and find your ideal clients that you’ve just defined. Find those people. Talk to them. Find out what their goals are, their needs, their struggles. Figure out what benefits they’re looking for so that you can then say, “This is what I do. This is what my sales message is to you.” That’s where the consultative part comes in. 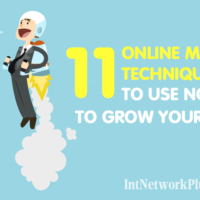 Finally, you really just have to get out there and network. Now that you have your message baked and you are really clear on what you do and the value that you provide, you need to let other people know about it. If you network in person or online, you can’t just hope to be behind your computer and hope people find you. You have to let them know that you exist and be comfortable with that because if you’re offering real value, they’re going to want to find you. They’re going to want to seek you out and take advantage of what you have to offer. Fantastic. What little step can they do right now to start doing all of this? Build your brand strategy, number one. Number one, that’s the foundation. Fantastic, Maria. Thank you so much. We would love to connect with you and know more about your projects and everything you do. Tell us more. We’re excited. As mentioned, people can find me at red-slice.com. I have a blog there. If you sign up for my email list, you get a free guide. I offer free tips, tricks, inspiration, insights, on my blog. 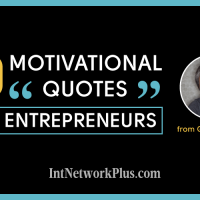 Practical business information and motivational inspirational information as well because being a solopreneur can be very hard. Part of that is you have to take care of yourself as your most important marketing asset because if you’re not feeling good or healthy, not setting boundaries, you can’t possibly do marketing and sales effectively. I offer lots of great ideas for that. I have a few programs that people can take advantage of. One is a self-study program. It’ll actually walk people step-by-step through building their brand strategy. It’s tentatively titled Momentum. Right now, it’s a live coaching program that I am translating into a self-study course for busy people. That will be a great thing that you guys can check out. And like I said, there are lots of free resources on my blog. I’m on Twitter @redslice. I’m on Facebook at facebook.com/redslice. I hope people will join the tribe, sign up and access the free resources and insights. That’s all for today. Thank you for listening. For the show notes and the full transcript of the episode please go to marinabarayeva.com.